Improve your wushu in hours, not years, with this simple mind-shift. While thinking about ways that you can improve your wushu, I realize that there is a specific perception about training that first needs to be address. You see, when I tell people I train wushu invariably the first question they ask me is “How long have you practiced?“. My standard answer is “17 years“, because I started wushu in March of 1995. But to be honest, I find it to be a rather difficult question to answer. Sometimes, if I have time, I also add that 17 years of training in the West is much different than 17 years of training in China. Given that most Westerners train 3 or 4 times a week, and that most Chinese athletes train 11 times a week, I go on to explain that my training has not been “full time”, and was more of a past-time or hobby than a profession. Recently I was reading a post by Benny the Irish Polyglot, a blogger who talks about language learning, and something he wrote about learning languages resonated with something I’ve been thinking for quite a while with wushu. I thought it would make a good topic here on wushuzilla. His website is called Fluent in 3 Months, which when most people hear it say “that is impossible“. The reality is, they don’t really stop to think about what he means by that phrase and assume it is some sort of get-language-quick scheme. Actually, it is a personal challenge to himself, not a promise to anyone else. He goes on intense language immersion adventures in various countries around the world, focusing 24 hours a day on language learning, only speaking in the language and refusing to use any other language, until he has reached his 3 month goal. Most people would say that it takes a good 10 years to really become proficient in a language, and that is true for most people because their focus on learning the language is not a full-time, 24 hours-a-day occupation. If you spend 10 hours a week learning a language (about 2 hours a day, 5 days a week), and most people say it takes about 5,000 hours to become “proficient” in a language, then yes, you need about 500 weeks, or around 10 years, to be able to communicate effectively. But when you spend 12 hours a day, every day to study a language and use it for everything you do all day long, forcing yourself to speak the language on a constant basis, aside from getting a massive headache, you will inevitably improve at a faster rate than you would doing it on a part-time basis. 5,000 hours at 12 hours a day is around 12 months, or from 10 years to 1 year. Now, you also have to define what “fluent” means. In Benny’s case he aims for the C1 classification of language learning, which is basically being able to interact in most situations and discuss most topics without much difficulty. In this case he focuses on the root of “fluency” as being “fluid“. He gauges his fluency on the ease with which he can communicate with people in the target language. If you use Pareto’s 80/20 principal, then you can see that a lot of a language’s use comes from a smaller percentage of it’s words. In Chinese, for example, if you focus on the first 1,000 most frequently used characters, you are actually able to read almost 90% of all Chinese characters you will encounter. So, even though there are 20,000+ Chinese characters, to be “fluent” you don’t actually have to know all 20,000 of them, any more than fluency in English requires a person to know every single word in the dictionary. Communication is not memorization. Communication is expression. And that means an ability to use a language to effectively express what you are thinking and feeling. So, when you look at fluency in this way then the requirement drops. You focus on the 20% of the language that provides 80% of the results and your 12 months are closer to 3 months. In Benny’s case he’s developed his own system for language learning including a lot of language learning “hacks” or methods which help him use his time even more effectively. His personal challenge to himself is to try and get to a high level of use in a language within 3 months. Does he always get there? No. But he certainly gets farther than he would without that added motivation. Recently he spent 3 months intensively studying Mandarin in Taiwan. Was he “fluent” after 3 months. Perhaps not by your definition. But he was way farther than anyone else is after 3 months of Chinese study. Here are two videos. The first is his 2 weeks of Mandarin study video. The second one is him talking after 3 more months. Yes, he has an accent, and yes, he doesn’t have perfect command of the language. But did he improve dramatically? Most definitely. He probably has a better vocabulary than I do after 7 years of living in China (keeping in mind that I never study Chinese), although I think my accent is better than his. So, how does this help you improve your wushu? Well, going back to my first point about the number of years I’ve been studying wushu, I realize that saying I’ve been training for 17 years is a little misleading, because if you compare the hours I’ve been practicing with those of a Chinese athlete then I’ve probably been doing the professional wushu athlete’s equivalent of around 4 or 5 years. Actually, before doing that I want to acknowledge that learning a language (which is purely a mental exercise) is different than learning a sport (which is, at least at first, a mostly physical exercise) since you need more time to recover after a wushu training session than a language learning session. Clearing your head happens much faster than clearing your muscles of lactic acid. An athlete spends an average of 6 hours a day practicing wushu (two 3 hour sessions). They do this 5.5 times a week (Saturday is typically a half-day) which brings the hours up to 33 per week. That is approximately 130 hours a month or 1,560 hours a year. Divided by 24 hours is 65 days of training time per year. In comparison, I would typically train 3 or 4 times a week. We’ll say 3.5 just to be fair. Each class was probably around 2 hours long (give or take), which is 7 hours a week or 364 hours a year. A measly 15 days of training for the year. Sure, sometimes I would go to China to train, but then sometimes I would also take time off from my training. In the end I think this evens it all out to around that average. If you take my 15 days of training over 17 years of my life, then you have a total of 255 days of training. That is the same that a Chinese athlete will do (at the rate of 65 days a year) in just under 4 years. So this means I have the equivalent wushu training experience as a Chinese wushu athlete who has been training for around 4 years. And keep in mind that, given the rate of my practice, this means I’m probably at a lower physical condition since I’m not getting in the frequency of training in order to maintain a higher level of health and fitness. That is rather sobering, to be honest. But I think it is also helpful. You see, I think a lot of us compare ourselves to Chinese athletes all the time. This can be great if you want to understand where your deficiencies are and how to improve your wushu, but sometimes it is a source of discouragement. Yes, the odds are most of us will never reach the same level as a Chinese wushu athlete. Why? It has nothing to do with genetics or ambition or passion or being “Chinese” enough. It has everything to do with how many hours you can put in to your training. When you are spending 25% as much time as a Chinese athlete in the wushu guan, then you can expect your growth to be around 25% as fast (give or take). But fortunately not all wushu comes from just inside the wushu guan (most of it, but not all of it). Most wushu athletes I talk to in China say that 80% – 90% of wushu is your mental and spiritual components and 10% -20% is the physical component. At a certain level all the wushu athletes in China are pretty much equally strong, fast and flexible. That is when their training takes on that mental and spiritual aspect, looking in to the deeper meaning of movement, technique and purpose. They aren’t saying that you don’t need to use your body, but the idea is that at a certain point it becomes less about your physical ability and more about your understanding of wushu. Fortunately an understanding of wushu is something we can develop even when we are not in the wushu guan. Watching videos, going through your form in your mind, and sometimes just plain old time thinking about wushu, can all contribute to developing this aspect of your wushu skill. The other thing about training in the West is that those who have really gained another level in their skill have taken it upon themselves to own their development in wushu. What do I mean by that? Well, a lot of students, especially in the beginning of their wushu life, let the coach dictate their progress. They go to class and that is where wushu is done. They do what the coach tells them to do, and when they leave they really leave. Outside of class they focus on other things (or maybe geek out on wushu videos at their computer). But those athletes who really take their wushu seriously start to supplement the in-class time with out-of-class training. Running, conditioning, strength training, stretching — these are all things you can do anywhere at any time to improve your wushu. You don’t have to be in the wushu guan to participate in your physical training. How many people in the West get up early in the morning, head out to the track and do wind sprints, conditioning and flexibility training every day? And not just in spurts of a few weeks, but consistently over the long haul. Probably not too many of us (myself included). But if we want to increase the hours we put in to wushu (and not just the years) we need to start incorporating our training in to more of our day. We have to have focus. Focus is a measure of intensity of effort over time. This means that if you don’t’ spend the time on your effort, then you don’t have proper focus, no matter how intense you are during the few hours of practice you do each week. What does that added effort and focus mean on a practical level? Well, if you take the 7 hours a week I was normally training in wushu, and I had just spent one hour every morning on my physical conditioning training, my time would have increased by double to 14 hours a week. That means my 4 years of equivalent training has now become 8 years. And if I spent another hour each day in the gym doing some weights and flexibility training, then that becomes 21 hours a week, which brings me even closer to that higher level of focus and intensity that the professional Chinese athletes have with their 33 hours a week. I often think about Jet Li‘s training when he was a kid. When he was 8 years old he joined the Shi Cha Hai Spare-Time Sports School as a young wushu athlete. 4 or 5 years later he was the national champion. Was it because he was genetically superior than everyone else? Did he have some special ability? Well, he probably had a few natural physical advantages, but what really helped him was the countless hours he spent in the wushu guan. As he said, they would spend 8 hours a day training back then, 7 days a week. More than athletes train these days (they have since improved their understanding of training and sports technologies) which means that with his close-to-50 hours of wushu a week, or around 100 days of wushu per year ((50 hours * 52 weeks) / 24 hours a day), at 4 years he had reached almost 10,000 hours of training which, at my rate of 7 hours a week, would take around 26 years. So, in another 9 years I will have put in the same amount of time that Jet had put in by the time he hit his teens. No wonder that generation was so freaking good. When we talk about improving in wushu, we need to focus on the hours we put in to our practice, not the number of years we train. When someone tells me they’ve been training for 4 years, that really doesn’t tell me anything about their level of wushu. But if they told me they had spent 4,000 hours in the wushu guan, then I can get a good idea of their intensity of practice and commitment to improving their skill. And this doesn’t just apply to wushu. Or to language learning. It applies to everything. Any skill you can develop can also experience the same jump in improvement speed if you are able to commit the same amount of time. I play the guitar. I’ve been playing the guitar for around 25 years now. But that says nothing about the amount of actual hours I’ve put in to my guitar practice. I have a friend, Adam, who plays waaaay better than me, although he’s only been playing for a little over 10 years. Why is he better? Because he would practice for hours and hours a day every day for most of his life. Naturally he is much better. I guess it is just a reminder to myself that we can’t look down on our wushu level, because it is mostly a reflection of the hours we’ve been able to commit to our training. It is also a statement about the importance of not paying too much attention to someone’s comments about how many years they’ve been training. Years mean nothing. Hours of concentrated effort mean everything. When we talk about wushu training and experience, it just doesn’t make sense to think of it in terms of the years you’ve been in wushu. It also means that a high level of wushu skill is not out of your reach. You only need to put in the time required to get there. You can be amazing, if you are willing to make the personal sacrifice and commit the hours you need to make that leap to the higher levels. How do you do that? 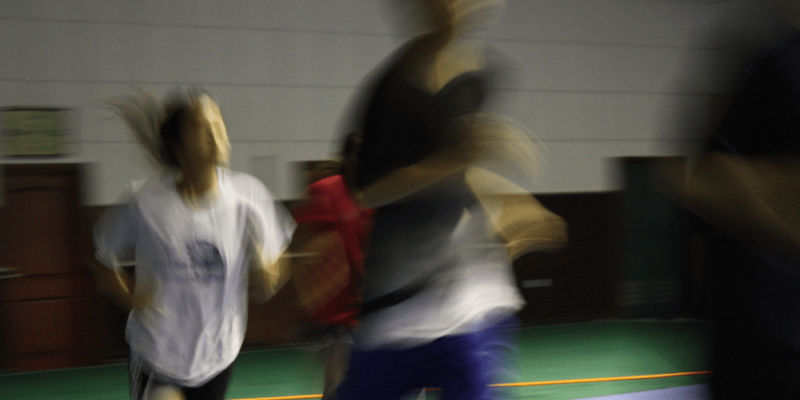 How do you make wushu a full-time endeavor on a part-time schedule? That is something I plan to write about in the future, but it is certainly a real possibility for anyone with the desire and passion to get there. But what this all really means is that the next time someone asks me how long I’ve been training in wushu, my answers is going to become “just a little while“, because in all honesty, that is what my hours show. Of course, it doesn’t say anything about my commitment to understanding wushu. énorme!!!!!! Merci pour ces explications. je le savais mais nous le rappeler nous permet une remise en question. j’ai 38 ans mais je m’ entraîne encore beaucoup donc repartir aux bases c’ est important . Un peu de wushu tous les jours, (souplesse, musculation, jibengong…), c’ est mieux qu’ un ou deux entrainements, même sérieux, par semaines [ mon professeur me l’ a dit, Lu Xiao Long et Gao Wei Hao (shanghai wushu team) me l’ ont dit aussi ] . merci Mark . You’re welcome! I’m glad you found it interesting. It is a pity I’ve just discovery your posts after years. I’m not a professional wushu athlete, but today I’ve this conscience about hours training, math, comparison hours among the years, weeks, days.. It’s really makes the difference.. Besides that, you found a great answer that I was looking for years and if you let me, I’ll copy to me. I feel so embarrassing when people ask me about how many years I train, but now, grace of your article, I know how to express more comfortably. Hi Allan! Thanks for the comment. Yes, it can be challenging for beginners to understand this idea, but once you can understand it for one area (wushu) it can be understood for others (learning languages, for example). It is a bit of a paradigm shift.